I know it’s not just me who has those weekends where you planned to do tons, but you only got a fraction done. Wait a minute. That’s every weekend! But this one was particularly nondescript. I did get a few key things done. Bloody expensive trip to the dentist, check. Bus out to IKEA to buy backing fabric for my Architextures quilt, check (note – do not attempt to catch to bus out to any IKEA, it takes hours and you can’t carry everything, no matter how little you buy.) Some housework, check, but I wish it didn’t pile up so aggressively. Oh and one block of my farmer’s wife quilt. 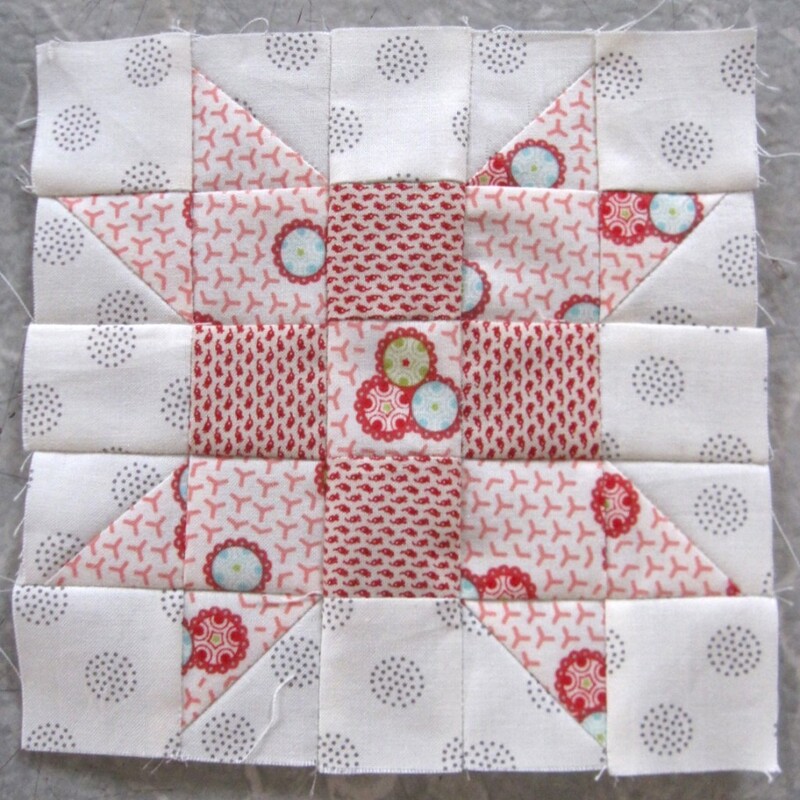 I’m going to try and sew in the evenings this week. Usually I need to take the whole day, luxurious I know. But I like to prepare and plan and make tea and sew for a few hours at a time. Now with two jobs, it’s harder to fit fun stuff like sewing in, but I’m determined. I also received a late birthday gift from one of my oldest and best friends in Australia, Melz. 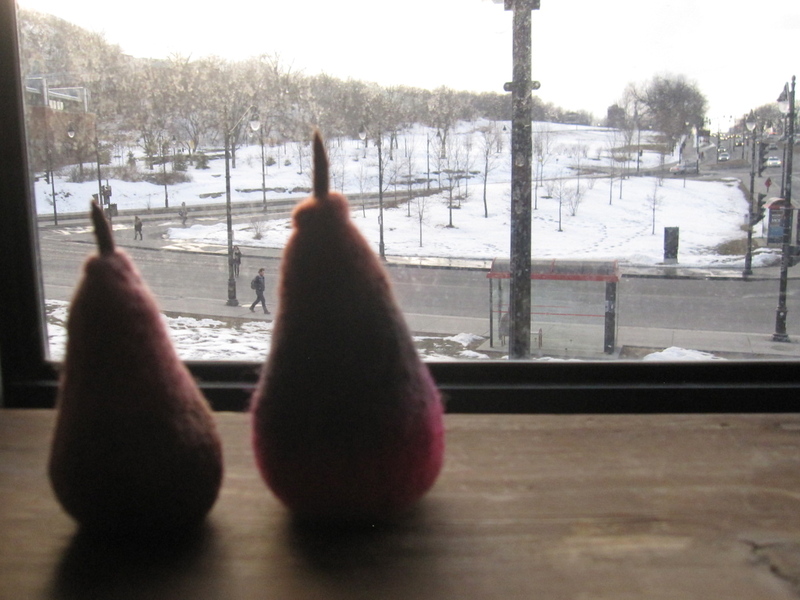 She gave me 2 of her sisters hand made felted pears! Aren’t they awesome? 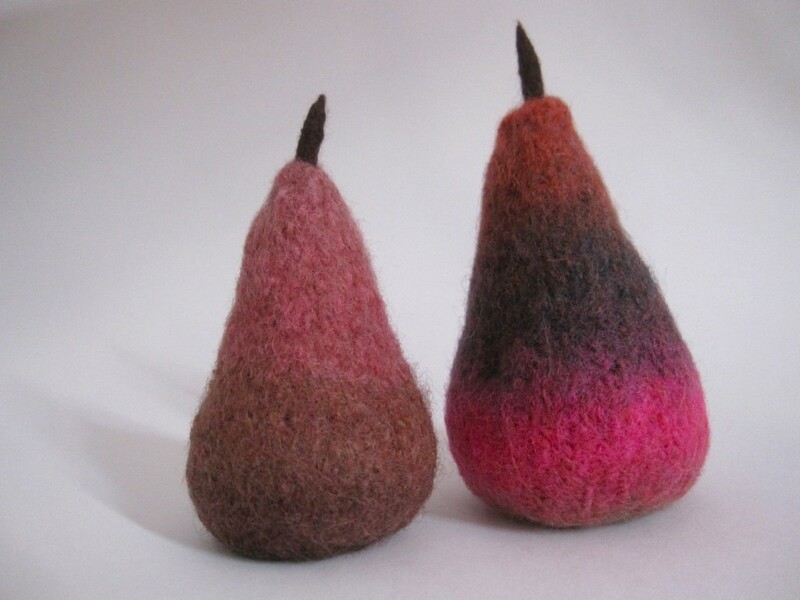 I’ve long admired Olivia’s beautifully knit and felted pears. And I have to say, I’m particularly happy with my pair of pears, the colours are just superb. I highly recommend both Olivia (her knitting will blow your mind) and Demelza’s (multi-talented visual artist) blogs. Amazingly talented sisters. The pears stare wistfully out the window wishing for spring! Come on Spring! Hey, there they are, and there is the SNOW (which I bet you are not finding too exciting by this point in time). Demelza does have a good eye for a pear, she picked the craziest coloured one from that batch. Glad you like them! You guys might be wishing for spring, but we’re wishing for autumn over here. still so hot during the day, it’s ridiculous. Those pears are awesome! Loving your farmer’s wife progress too. Oh Wens, I love the pears!!! Melz always sends the nicest gifts!